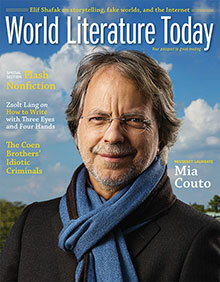 In September 2012, WLT featured very short—often-called “flash”—fiction. Turning to a less-explored but related form, WLT here collects five very short nonfiction pieces—all under 1,000 words. A memory, a letter, a hike, a resuscitation, and a series of walks: each essay here takes us through both physical and emotional landscapes and provides a flash of insight. Together, they provide a glimpse of this rapidly developing genre. To read this special section, purchase the print or digital issue.